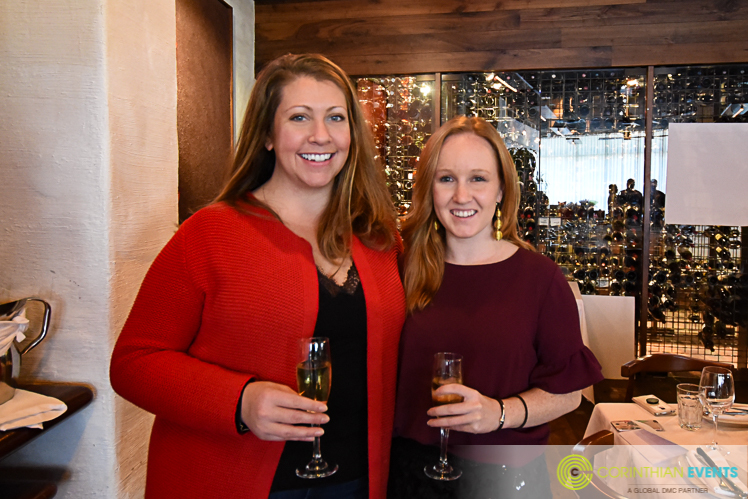 When MPINE (Meeting Planner's International, New England) announced this year's summer outing, a rowing challenge followed by networking, we jumped at the chance to create our own team! 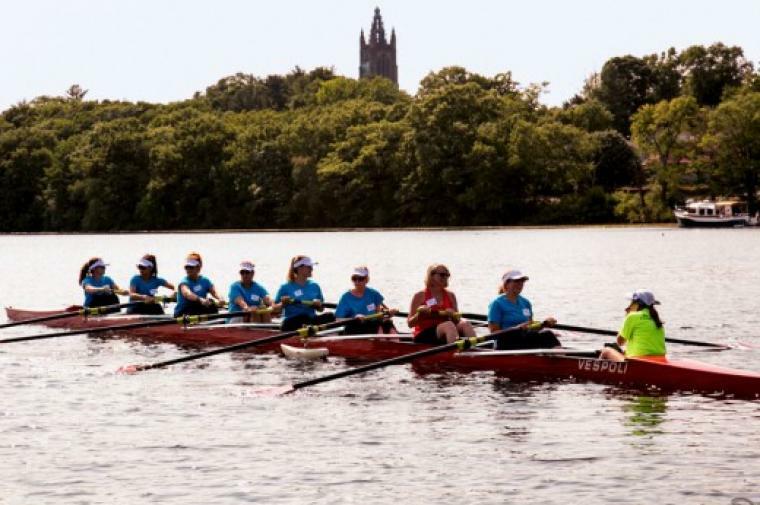 Rowing on the Charles River is a team-building event we recommend for our clients so we looked forward to the opportunity to have that personal experience to share. 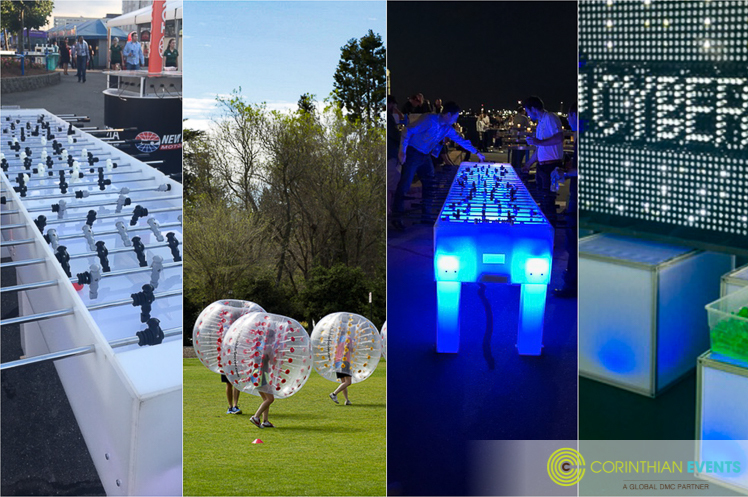 And, at Corinthian Events, we are always up for a new adventure! As the date approached: outfits were chosen, nerves were checked, and excitement swelled. 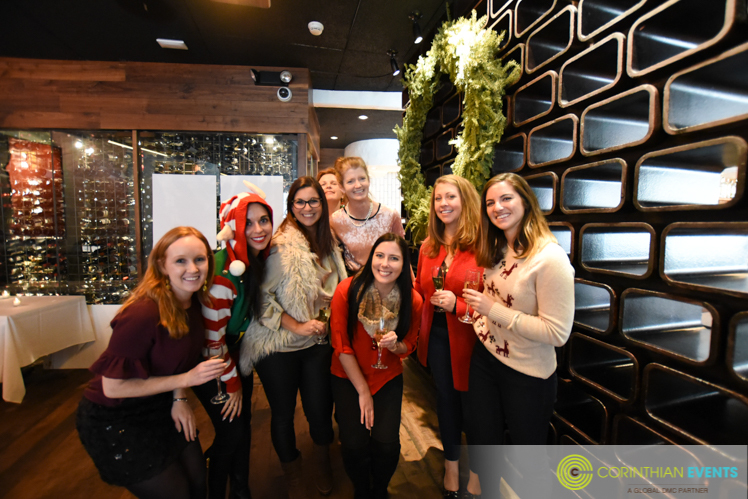 Out of the 7 of our team members and one addition guest brave enough to join us, only one - Jenni, had any rowing experience. What were we getting into!? Once we arrived at CRI we made our way upstairs and onto the stationary rowers to learn the basics of the stroke. We learned our catch position (with legs bent ready to push off) and our finish position (with legs extended and handle at our chest). Pictured above we are between the two, learning the motions from one to the next. What did we learn was most important? Strength? Speed? Nope! We learned that we would be most successful if everyone rowed at the same time. Once we learned the motion we practiced staying together, following the person to one side of us or the other. Our team pro- Jenni, took the lead as the front of the boat. We relied on her expertise to lead the team! Her stroke would be what we followed for a pace as we took to the water. Reflecting on the experience, Jamie said, "I figured it would be pretty easy, (yet) the 1st 5 minutes in the boat were a little nerve-racking until I got my rhythm." And rhythm we found - once we got into the groove our boat took off floating along the Charles River! Positive feedback on our strokes from our CRI guides felt great but the icing on the cake was our success. We determined working so well in the office as a well oiled machine, collaborating and having each other's back quickly translated on the water. Check out our rowing skills in a video here! First race? No problem. Second race? We were up against a difficult challenge, competing against CRI volunteers with experience but we buckled down and came out on top! Celebrating with high fives and smiles - after all this hard work was accomplished it was time for a cocktail! 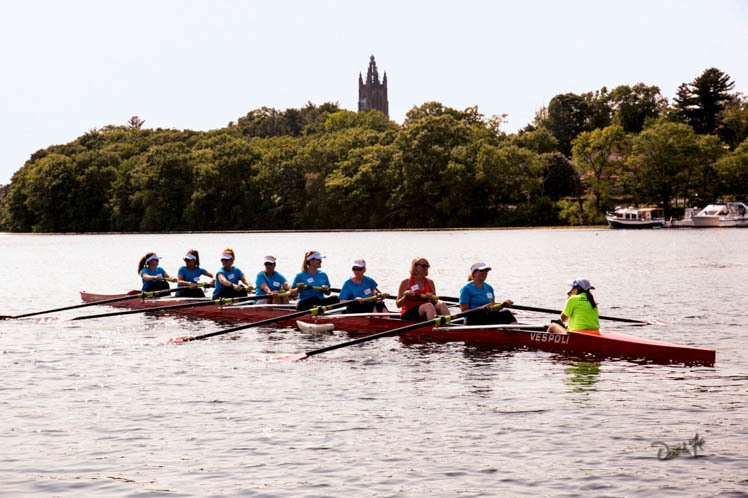 Community Rowing Inc. (CRI) is a non-profit rowing organization with the commitment to "promote personal and community growth through teamwork, discipline, and physical fitness."